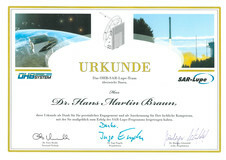 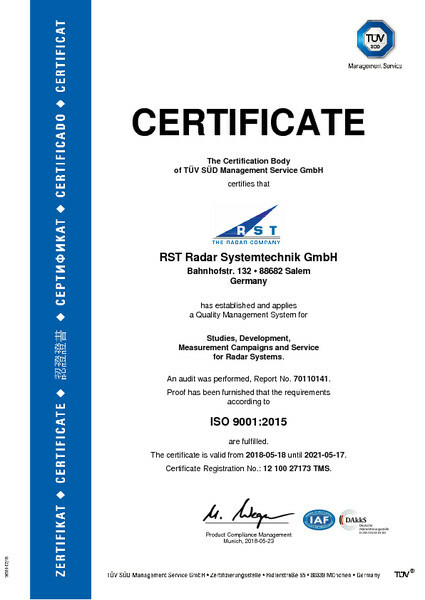 The development and production of cutting edge radar technology for international projects are subject to strict quality assurance and continuous process optimization: In March 2018, RST has repeatedly been certified according to the international ISO EN 9001:2015 norm of the TÜV Süd Deutschland (South German Technical Inspectorate). 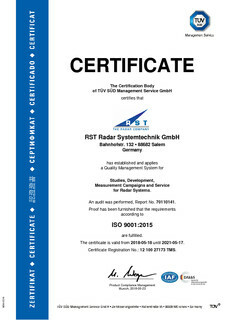 The number of certificates and documents RST has been awarded by its customers reflect the appreciation of our work. 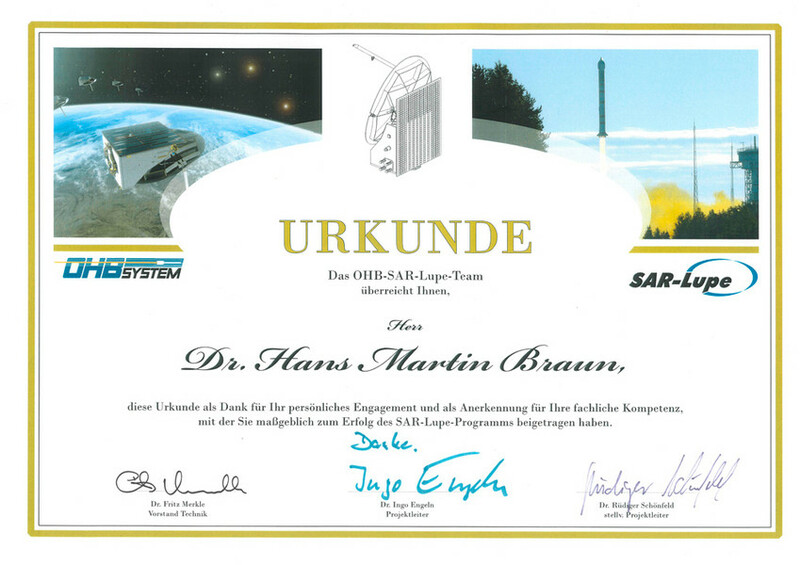 We are particularly proud of the honours for the high level of expertise and the successful cooperation with the OHB-SAR-LUPE-Team.